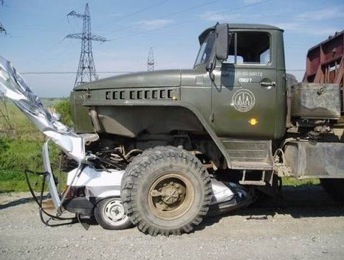 Westlake Village Truck Accident Injury Attorney - Over 40 Years of Experience You Can Trust! Have You or Anyone You Know Been Injured in a Truck or Car Accident in Westlake Village? Our Westlake Village truck accident injury lawyers and law office offer forceful and compassionate personal injury services for the injured victims of truck accidents, including victims of crashes with tow or crane trucks, and for the families of the victims killed in fatal collisions or for wrongful death claims in Westlake Village. Westlake Village is split into two sides, with the western side being considered a community in Thousand Oaks that is in Ventura County, while the eastern side is incorporated as a city in Los Angeles County, California. 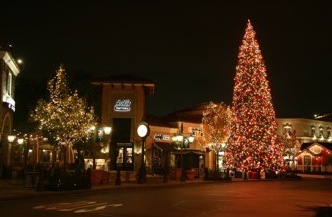 Westlake Village is bordered by Thousand Oaks to the northwest, Agoura Hills and Calabasas to the east and Simi Valley to the north. 8,270 people reside in Westlake Village and the area is mostly surrounded by open space with many hiking and horse trails. In addition to enjoying the outdoors, there is The Promenade at Westlake that is a shopping center where many Westlake residents go to walk around, dine at and see a movie. There is The Grill on the Alley that is an upscale restaurant for those looking for a fancy evening out, and Paul Martin's American Grill that has a lounge atmosphere for those looking to relax with a cocktail drink and bread. The shopping center has also become famous for the Cinepolis Luxury Cinemas movie theater that provides an amazing movie experience by having recliner leather chairs accompanied by a large movie screen and high quality sound. There are many famous people that live or have resided in Westlake Village such as James Caveziel, Jim Cummings, Dana Delany, Jamie Foxx, Wayne Gretzky, Mariel Hemingway, Hulk Hogan, Cobi Jones, Kathryn Joosten, Martin Lawrence, Mike Lieberthal, Jonathan Lipnicki, Heather Locklear, Maureen McCormick, Joe Montana, John Ratzenberger, Mickey Rooney, Vin Scully, Martin Sheen, Will Smith, Kevin Sorbo, Guillermo del Toro Gomez and Eric Wynalda. Truck drivers should be trained in checking their trucks before taking off on their routes. Company trucks are used frequently and often accumulate a large amount of mileage per trip, which can lead to problems sooner than most other vehicles. Starting the vehicle and giving a few minutes to listen for noises can be sufficient to prevent future malfunctions that, if occur on the road, will lead to many casualties. If a truck driver could do a full check of the truck by looking at the oil level and water level as well then that could make the chances of a problem happening on the road very rare. Therefore, it is essential for truck drivers to be aware of any suspicious noises coming from the truck when they start the engine. A common injury resulting from truck collisions is an arm fracture, also known as a distal radius fracture. The wrist may likely become deformed due to the swelling from the injury. There may also be numbness if the nerve gets damaged. Treatment can consist of surgery, if the bone does not heal properly, or some form of reduction and immobilization that requires manipulating the fracture through anesthetics and repositioning the wrist followed by placing a cast. Please contact us now, including for referrals to doctors who may provide treatment without a request for payment until the claim is resolved, if you or a loved one sustained a elbow fracture injury from any truck collision or other personal injury accident in Westlake Village, Los Angeles or anywhere in California. The Law Offices of Gary K. Walch, A Law Corp., provides you with the strong advocacy that you need, along with understanding and compassion, when you or a loved one has gone through a devastating truck collision or other injury accident in Westlake Village or anywhere in California. It is our duty to aggressively pursue your rights and best represent your interests. Our lawyers handle accidents involving truck, train, bus, motorcycle, bicycle, car, uninsured motorist (UM), hit and run, pedestrian and much more.